Video only available to watch on Vimeo. 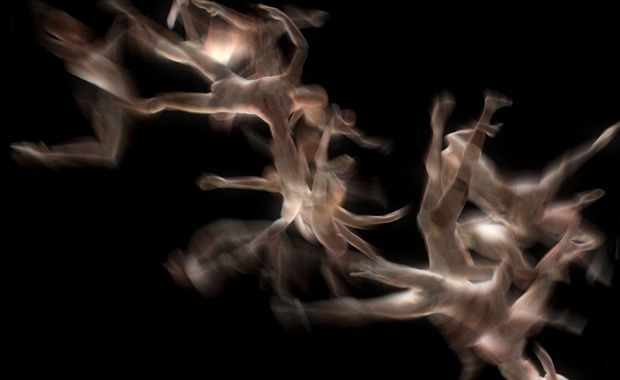 CLUSTER goes through several stages, starting out from an abstract primordial “soup” to eventually arrive at a clearly humanoid cluster, packed tightly, spinning and tumbling through space, bodies glued together by gravity and kinetic forces. The sound-scape in CLUSTER is created by the events driving the work – swarm motion and behavior as well as changes in light and color. All visual appearance renders a sonic expression.